Peony features growing advice for one of the most beautiful and popular flowering plants. You'll learn the history of the plant, discover the different types of peonies available, and enjoy profiles of the best 194 varieties. Growing information includes details on climate, soil, light, planting, and water needs. 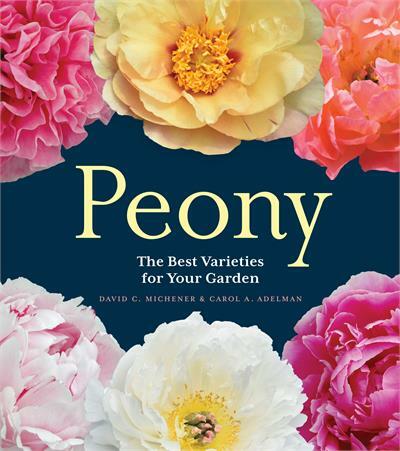 Helpful lists detail the best peony varieties for specific needs, and a resource listing shares the best places to buy peonies and the best public gardens to see them in. Book Specs: Hardcover, Full Color throughout, 248 pages. Shipping in the United States is included in the $30.00 price, Canadian orders will be billed actual shipping costs. Should this book be signed to you or someone else or not made out to anyone? If you would like it inscribed to yourself or someone else, please spell your name below. Thank you.